"I'm interested in how men are educated, how women relate to each other, how we are able to love, how we balance political and personal forces, who survives in certain situations and who doesn't and, specifically, how these and other universal issues relate to African Americans. The search for love and identity runs through most everything I write." In this comment from a 1992 interview, Toni Morrison gives one description of the complex range of issues she explores in her work. 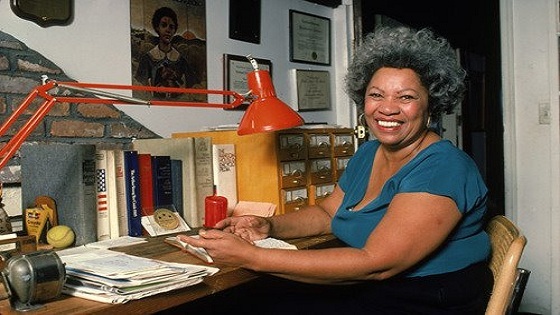 Morrison is widely recognized as one of the most influential American writers, and her novels are taught in literature, history, women's studies, and African American studies courses across the United States and around the world. She has received numerous honorary degrees, prizes, and awards, including the Nobel Prize in literature. Above all, Morrison is known for her rich, lyrical prose, which fuses the rhythms and imagery of African American speech and music with other literary influences to create a discourse of its own. In a 1977 interview, she said that it "seemed to [her] Black people's grace has been what they do with language." Morrison is unparalleled in her ability to capture that grace on the page. Toni Morrison was born Chloe Anthony Wofford in Lorain, Ohio, a small, racially mixed steel town. Her grandparents were all originally from the South, and Morrison credits her family with giving her a rich foundation in the language and rhythms of African American culture. She has said she was born into a family of storytellers, and considers her father's folktales and her mother's singing as examples of the uniquely black language she absorbed as a child. After graduating with honors from Lorain public schools, Morrison received a bachelor's degree from Howard University in 1953. In 1955 she earned a master's degree in English from Cornell University, where she wrote her thesis on alienation in the works of William Faulkner and Virginia Woolf. She taught at Texas Southern University for two years before accepting a teaching position at Howard. While teaching at Howard, she married Jamaican architect Harold Morrison and gave birth to two sons. She later said it was the "powerlessness" she felt during her years as a wife and a mother of small children that led her to begin writing. In 1964 Morrison and her husband divorced, and she took a job in Syracuse, New York, as a textbook editor for Random House. In 1968 she moved to Random House's trade division in Manhattan, becoming their first black woman senior editor. There, she focused on black authors and edited books by Angela Davis, Toni Cade Bambara, Gayl Jones, and Muhammad Ali. Morrison also continued writing her own fiction at night, after her sons were asleep, and in 1970 published her first novel, The Bluest Eye. The Bluest Eye tells the story of a nine-year-old black girl in a 1940s Ohio town who prays for blue eyes, thinking that will stop the emotional, physical, and sexual abuse she receives from her peers and the adults around her. Morrison became part of a new generation of black women writers, including Jones, Bambara, and Alice Walker, who were interested in telling black women's stories, and stories set wholly within the black community. The Bluest Eye received critical praise, and Morrison became sought-after for book reviews and articles on black literature and culture. Her next novel, Sula (1973), was nominated for the 1975 National Book Award in fiction. Set in another Ohio town, Sula is a novel about the classic forces of good and evil, placed within the context of a friendship between two black women and the community that surrounds them. Morrison truly rose to prominence as a novelist, however, with her third book, Song of Solomon (1977). Like both of her earlier novels, Song of Solomon is set mainly in a Midwestern town, one of Morrison's innovations in African American fiction, which is traditionally set in either the urban North or the rural South. But unlike the others, Song of Solomon's main character is male, and the book has been described as incorporating more traditionally Western and male themes of flight, journey, and violence into its narrative of a particular black community and a particular black family. Song of Solomon was chosen a Book-of-the-Month Club selection, the first novel by a black author to become one since Native Son (1940), by Richard Wright. It also won Morrison the National Book Critics Circle Award and appointment to the American Academy of Arts and Letters and the National Council of the Arts. 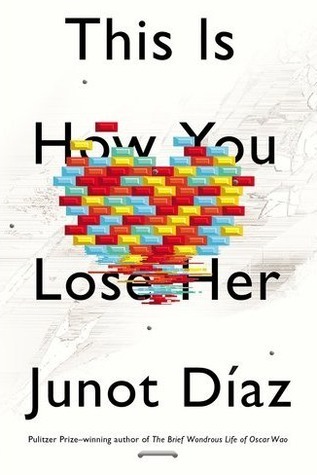 Twenty years after its publication, the book was again featured as a national book club selection—this time, for the popular television feature Oprah's Book Club on The Oprah Winfrey Show. Morrison's next novel, Tar Baby (1981), received similar acclaim. It was the first of her novels to be set primarily outside of the United States (on a Caribbean island), and in the historical present, and to feature several white main characters. Tar Baby was also a bestseller. 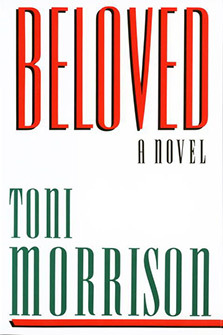 But Morrison's fifth novel, Beloved (1987), is her most celebrated work to date. Beloved is loosely based on a news clipping that Morrison read years earlier while editing a book on black history. The clipping told the true story of Margaret Garner, a slave who ran away with her four children, and when captured, tried to slit their throats-and with one child, succeeded-rather than see them returned to slavery. In its fullness, Beloved becomes a novel about slavery, about history, about community, about possession—and, ultimately, about love. Beloved was another national bestseller, was internationally reviewed, and won the Pulitzer Prize for fiction in 1988. Morrison has said that Beloved is the first novel in a trilogy about love. The second novel in that trilogy, Jazz, was published in 1992. Set in New York during the Harlem Renaissance, the novel pieces together the story of a love triangle in a narrative form that imitates the rhythms of jazz music. The third novel, Paradise, was published in 1998. It portrays the lives of the townspeople of Ruby, Oklahoma, who believe their community is "the one all-black town worth the pain," and the women who inhabit the abandoned convent just outside town, whom the townspeople wish to exclude from their Eden. In 1993 Morrison received the Nobel Prize in literature for her six novels to that date. She was the first African American and the first black woman of any nationality ever to receive that prize. Morrison has taught at several universities and in 1989 was named the Robert F. Goheen Professor in the Council of the Humanities at Princeton University. Her reputation as one of the most influential American writers rests not only on her fiction, but also on her work as a literary and cultural critic. Her essays and speeches have been included in numerous journals and books, and in 1992 she published her first volume of literary criticism, Playing in the Dark: Whiteness and the Literary Imagination. That same year she also edited Race-ing Justice, En-Gendering Power, a collection of essays on the Hill-Thomas hearings. In 1996 she coedited a second essay collection, Birth of a Nation'hood: Gaze, Script and Spectacle in the O. J. Simpson Case, about the former professional athlete who was tried for murder in a highly publicized case. Morrison has also written a play, Dreaming Emmett, first produced in New York in 1986. Through all of these works Morrison has had a tremendous impact on the American and the African American literary landscapes. Her novels are widely accessible to readers and internationally praised for the quality of their prose, yet they remain dedicated to exploring nuances of African American culture and language. 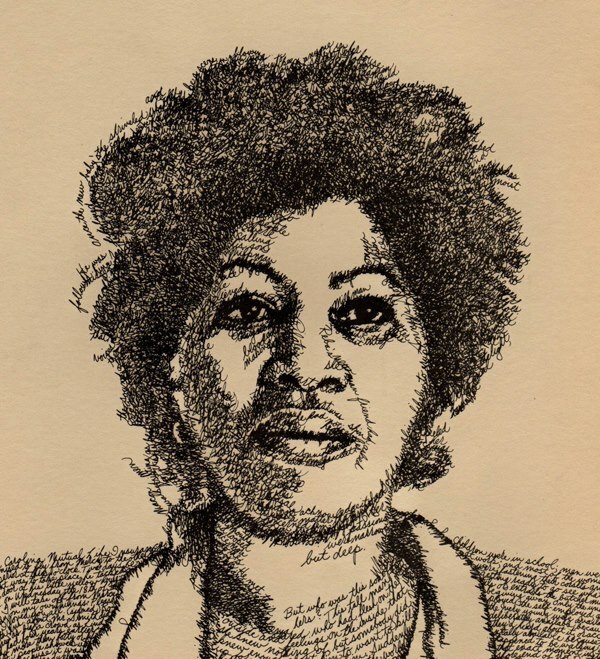 In Black Women Writers, a 1984 book by poet Mari Evans, Morrison states that to her the best art "is unquestionably political and irrevocably beautiful at the same time," a standard many readers believe she has met in all of her work. Contributed By: Lisa Clayton Robinson. 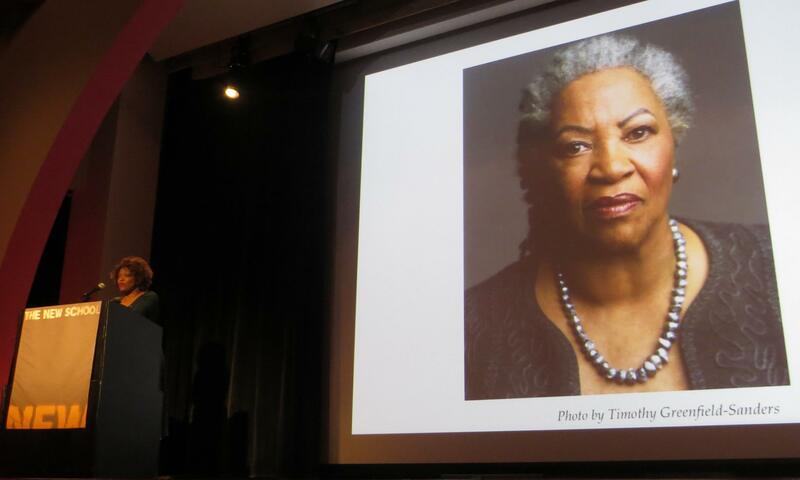 Rita Dove's Love Letter To Toni Morrison At NBCC: "No Words Can Fully Express What You've Meant To Me"
Debating The Best Book Lists: Does Amazon's "100 Books To Read In A Lifetime" Get It Right? 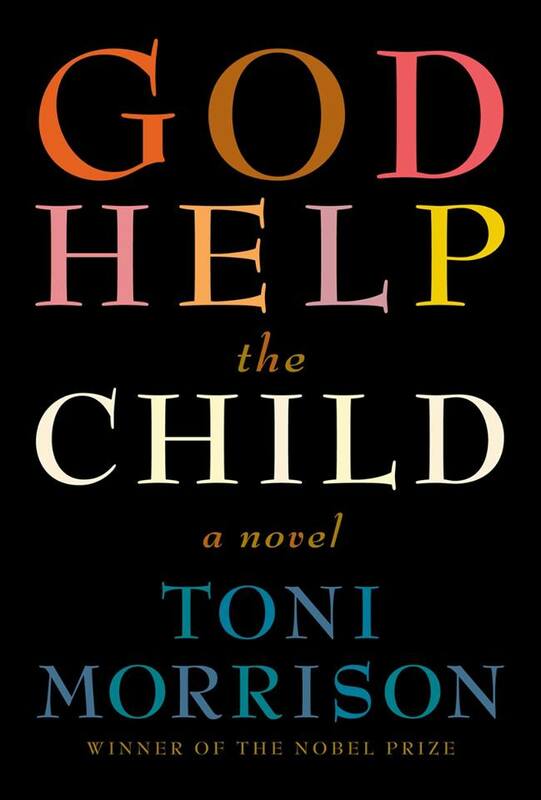 Toni Morrison Shares What Mistakes She Made With "The Bluest Eye"
Are There Any Books You Wouldn't Want Your Children To Read? In A Disaster, Do People Need Books As Much As They Need Other Supplies? Huffington Post Reveals 50 Books Every African American Should Read - How Many AW Winners Made The List? 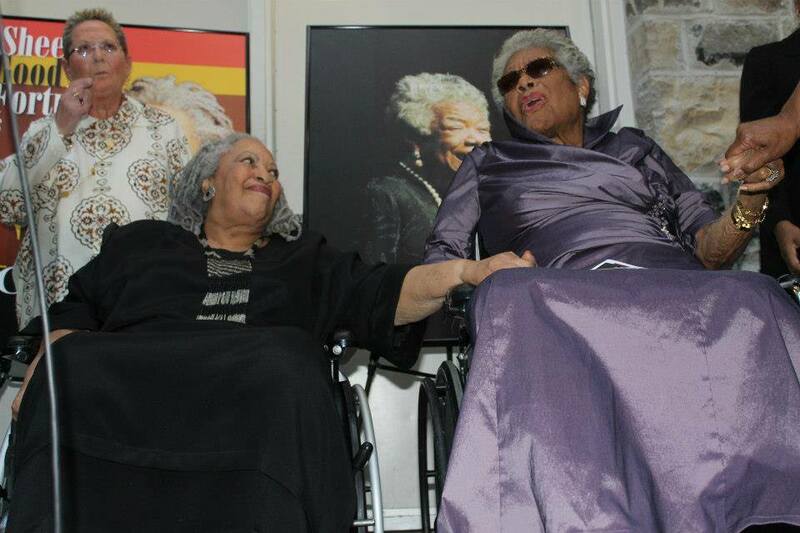 VIDEO: Toni Morrison Discusses "Black Is Beautiful"
Does Toni Morrison's Latest Stack Up Against Her Previous Works? 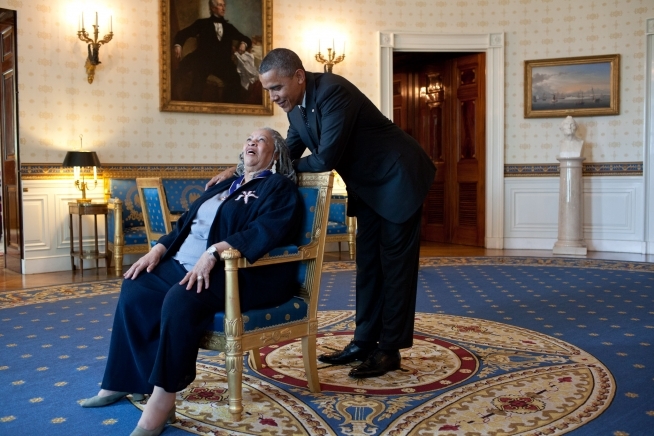 Toni Morrison On Herself: "The Only Thing I Do For Me Is Writing"